More partnerships are being forged to use restaurant technology to improve hospitality, a legendary culinary brand releases a cookbook and SONIC recognizes achievements. Send news items to Barbara Castiglia at bcastiglia@modernrestaurantmanagement.com. BentoBox, a platform that helps restaurants grow their business online through a connected suite of digital tools, examined menus that have been changed in the last 90 days in all sections with the word dessert. The database included 4,000 total menu items and the team programmed the system to look at single words as well as double and triple word combinations. The chart below includes the top ten instances for each and the number next to the word is the number of times it was mentioned. 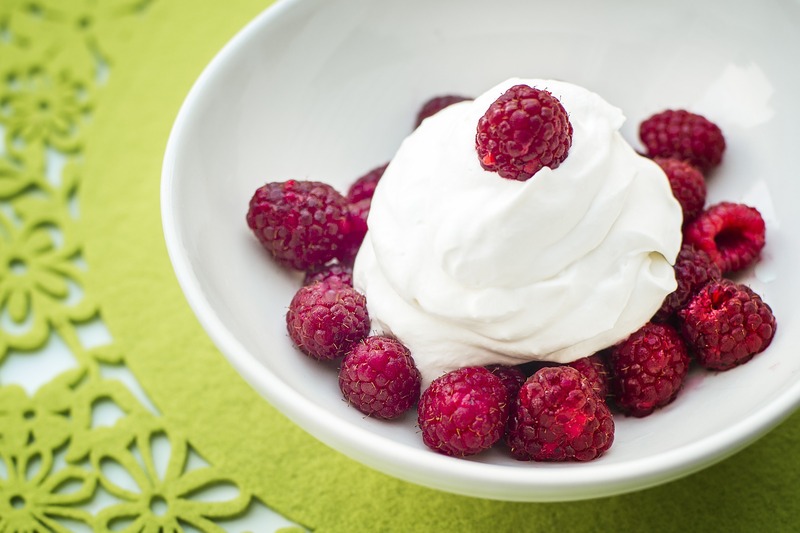 The cream of the crop on menus (from a word standpoint) is the word cream. Across the BentoBox menu database the word cream appears on 9.6 percent of menus with chocolate coming in second at 8.2 percent. It’s no surprise that ice cream takes the cake with the most mentions at 6.1 percent and a little surprising that whipped cream (at 1.4 percent) didn’t make more of a showing. When it comes to ice cream flavors, vanilla ice cream (at 1.4 percent ) and chocolate (at .4 percent) not making as big of a showing signifies that ice cream flavors are all over the place. This also points to a trend in the elevation of ice cream flavors and desserts in general, according to BentoBox. Consumers have more sophisticated palates these days and chefs are responding with more unique options to help nab those additional dessert dollars at the end of a meal. Looking deeper into the words that are appearing on menus you see combinations that include salt + an acid (vinegar, ginger, tart) and bbq themes (bbq, mesquite, smoked) as perhaps new twists in the savory dessert trend. This also helps to support the notion that customers are more sophisticated and restauranteurs and chefs are responding with unique combinations, BentoBox research points out. NuOrder Tech is partnering with LevelUp to help restaurants grow their order ahead sales via new distribution partners. The partnership enables nuOrder Tech to provide its restaurant clients – including brands such as Illegal Pete’s, MOD Pizza, Flower Child and WaBa Grill – free distribution through LevelUp’s extended network of consumer channels. Customers now have more ways to order from their favorite restaurants, and those restaurants benefit from an increase in orders at no additional cost. The integration allows nuOrder Tech restaurant partners instant access to the LevelUp network, reaching millions of potential new customers across partner channels such as Chase Pay. Through LevelUp’s partnerships, orders flow from those apps to the nuOrder Tech online ordering system directly to the restaurant’s point-of-sale. Revel Systems is partnering with Como. The Como toolset further extends Revel’s suite of CRM tools and is integrated with the Revel POS, allowing direct interaction with customers and personalized attention, based on real-time data and analytics. “Como is excited to partner with Revel Systems and offer their clients our end-to-end customer engagement platform,” said Yair Holtzer, Founder and Head of Como US. “Using our data-driven technology, the Como Sense solution enables hospitality and retail chains to bring their customers back and increase their spending”. The Como solution is completely integrated with the Revel POS and the integration has already made an impact with Revel customers. Le Creuset will release Le Creuset, a new cookbook on Tuesday, October 17. The cookbook was written with the goal of demystifying French cuisine, which can often be intimating to the home cook. Readers will find more than 80 French recipes created to inspire and empower people to create joy through cooking, by exploring the timeless pleasures of the French table. 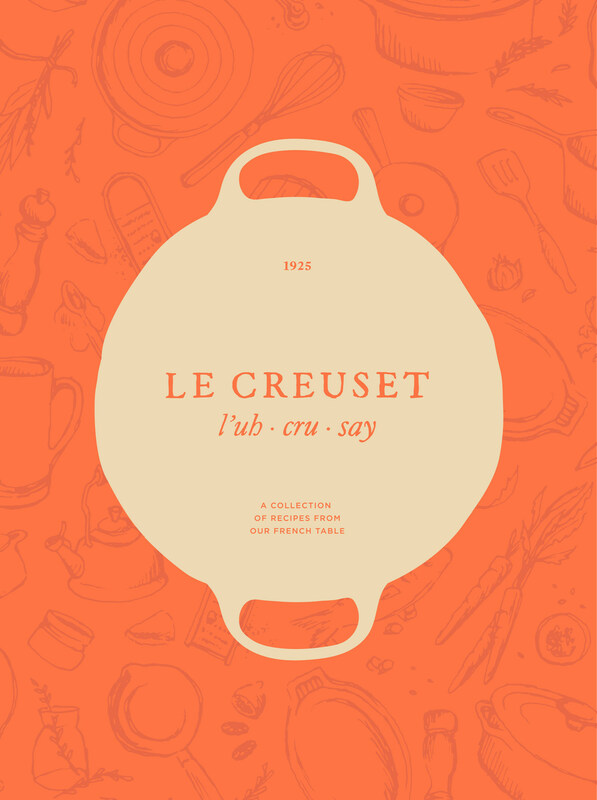 The book will be sold on LeCreuset.com, at Le Creuset Signature Boutiques and outlets, and various high-end retailers. To celebrate the launch of the new cookbook, Le Creuset will host events nationwide on Saturday, October 21 at their Signature Boutiques and select outlet stores. The full day celebration features cooking demonstrations, light bites, and giveaways from D’Artagnan, Maille and Le Creuset. “We are a French company rooted in French tradition, so the recipes cooked in the first pieces of Le Creuset were French. It all started with simple meals, created with pride and care from local ingredients. As French cuisine has evolved and become more refined, Le Creuset’s iconic pieces have also remained on the table, holding true to our essential character, adapting to new cuisine,” said Nate Collier, Recipe Developer and Culinary Manager, Le Creuset of America. “These dishes are timeless, and this book draws on both those humble family recipes made relevant for today’s tastes, as well as essential French techniques made more approachable for today’s home cooks,” he continued. The SONIC® Drive-In crew at 3307 North Broadway in Knoxville, Tenn. took home the championship title and gold medals at this year’s annual DR PEPPER SONIC GAMES competition. The nine-month training competition puts drive-in crews through a series of trainings, quizzes and challenging team and individual competitions in search of the top SONIC crew. 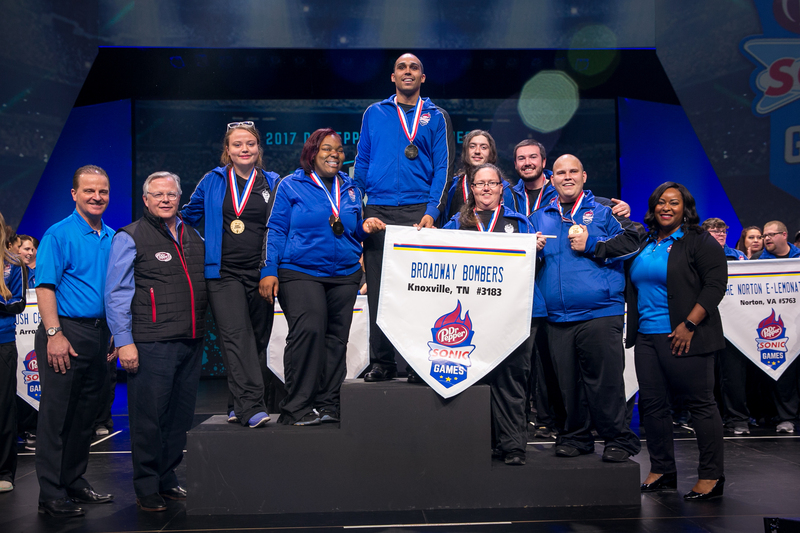 The Knoxville crew competed against 11 other outstanding drive-in teams from across the country at the national finals during the 2017 SONIC National Convention in Denver, Colo., where the winners were recognized and celebrated by thousands of SONIC attendees. Since its inception in 1993, SONIC Drive-In crews have competed in the DR PEPPER SONIC GAMES year after year to test their limits, expand their expertise in areas including food and drink preparation, food delivery and overall customer service. Crews from 2,870 drive-ins across the country participated in the 2017 competition. For the 2017 DR PEPPER SONIC GAMES the drive-in crew from Summertown, Tenn., took home the silver medal and the bronze medal was awarded to the Eustace, Texas, drive-in crew. SONIC also presented ten awards to franchisees and operators at the 2017 SONIC National Convention in Denver, Colo. Every year, SONIC recognizes exemplary individuals and franchise groups to honor those who have a proven track record of strong leadership skills and led the brand. Named after SONIC’s founder, induction into the Troy Smith Hall of Fame is SONIC’s most prestigious award, given to a franchisee who has worked with SONIC for a notable amount of time while making a significant contribution to the brand in terms of leadership, growth and positive influence. This year, SONIC presented the Troy Smith Hall of Fame Award to Gary Kinslow, second generation SONIC franchisee and leader of Kinslow SONIC Group, top photo. Based in Prague, Okla., Kinslow SONIC Group owns and operates 40 SONIC Drive-Ins in Oklahoma, Texas and Mississippi. In 1969, Kinslow started his career at SONIC as a cook for his father when he was just 14 years old. Now, Kinslow leads his team to provide guests with a remarkable SONIC experience every day. The SONIC Chain Leader Award was presented to Steve Gonzalez, director of the Warren Group in recognition of his success in exerting both leadership skills and a positive influence on his organization and the SONIC brand. Based in Lubbock, Texas, and operating 24 drive-ins, Gonzalez focuses on retaining good people and building a solid infrastructure through his strong leadership. Norm Kaufman, SONIC franchisee and leader of Brand Ventures, LLC was presented with the SONIC Turnaround Operator Award. This award honors an individual or group responsible for turning around operations, sales and profit performance of one or more SONIC Drive-Ins. Based in St. Louis, Mo., Kaufman focused on two areas: guest service and people development. The group has built strong, long-lasting relationships with their employees, demonstrating Kaufman’s belief that developing great people can help turnaround any aspect of business. SONIC presented Buddy McClain, franchisee and leader of McClain, Vaughn and Partners franchise group, with the SONIC Great People Award. This award is given to an individual or group who has made the recruitment, training, development and retention of people a top priority and strategy for growth. Based in Jackson, Miss., McClain developed an innovative management program and is reaping rewards in his 100 drive-in locations across Mississippi, Texas and Florida. The SONIC Operational Excellence Award was presented to Eddie Frey, operating partner for the D.L. Rogers Group, and to Jeff Simmons, general manager for the Jimmy Hodges franchise group. This honor is awarded to individuals responsible for supervision of less than five drive-ins with a proven track record of upgrading talent and growing sales and profits. Based in Elizabeth City, N.C., Frey started his career with SONIC as a manager trainee in 2003, and worked his way up to operating partner at three drive-ins located in Hartsville, S.C., Fayetteville, N.C., and Elizabeth City, N.C. Simmons, based in Mandeville, La., started his career with SONIC in 2011 in the kitchen and is now a general manager. Both Frey and Simmons make it a priority to attract guests, build loyalty and make a positive difference in their local communities. Justin Chandler, director of operations for MHR Group, and Dora Simonds, director of operations for the Rubyhill Group are recipients of the Multi-Unit Leader Award. This honor is awarded to individuals responsible for supervising more than five drive-ins with a proven track record of upgrading talent, delivering outstanding guest service and growing financial performance of their drive-ins. Based in Dallas, Texas, Chandler oversees 16 drive-ins in the MHR Group and is known for his leadership and drive to constantly look for ways to improve in every aspect of the business, from people development to achieving great results. Simonds is the director of operations for 11 drive-ins in the Rubyhill Group across Denver, Colo. In 2000, Simonds started her career at SONIC as a cook and has grown to become a strong leader with a proven track record of developing talent while growing sales and profits. The Newcomer Award was presented to Cinos, LLC located on Long Island, N.Y. Cinos, LLC owns and operates three SONIC Drive-Ins in the state of New York. This award is given to an individual or franchise group new to the SONIC brand who delivers the SONIC promise to guests every day while achieving strong sales and profits. The Mason Development Award was presented to MHR, a SONIC franchise group led by partners Ralph Mason, Chuck Harrison and Reeder Ratliff, who own and operate 288 drive-ins across 13 states with their partners. MHR has made outstanding contributions to the development of new drive-ins as we remodeled, rebuilt and relocated existing drive-ins. Based in Oklahoma City, Okla., and founded in 1974, MHR is one of SONIC’s largest franchise groups and credits its longtime success to their partners and operators, some of whom have been with the group for more than 30 years.